“Competitors wanted! If you like winter and you love to play games, here’s your chance to participate in the first annual Wharf Winter Games. You can compete in multiple disciplines, from pin the tail on the Husky to corn hole, and curling, no pre-sign up needed! Wharfarod “dog” sled races (don’t worry, it doesn’t involve any actual dogs) start at 3:00 PM. Participants will sled and try to get as many pieces of gold during this race. ​Sign up is required and will be available at the DJ table at 2:00 PM. 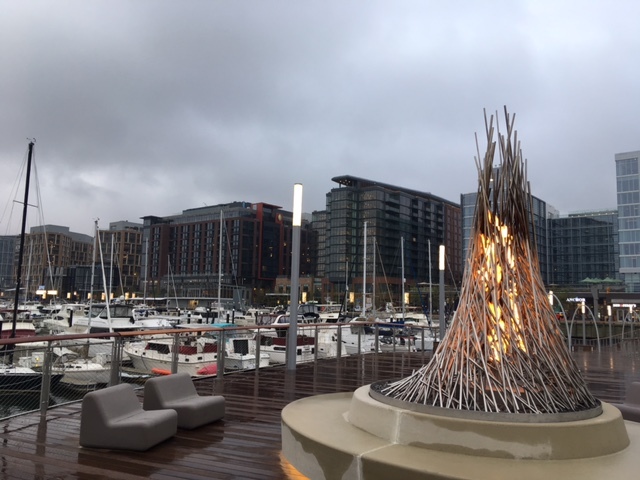 If you’re more comfortable cheering on the Wharfletes from the sidelines, you can enjoy s’mores at Camp Wharf by the firepit or hot drinks, beer and wine, and other fun activities throughout the event. WHEN: ​Saturday, February 16th from 2:00 PM until 5:00 PM. WHERE: ​The event will be held on The Wharf’s District Pier. ​A map of The Wharf can be found ​​here​.